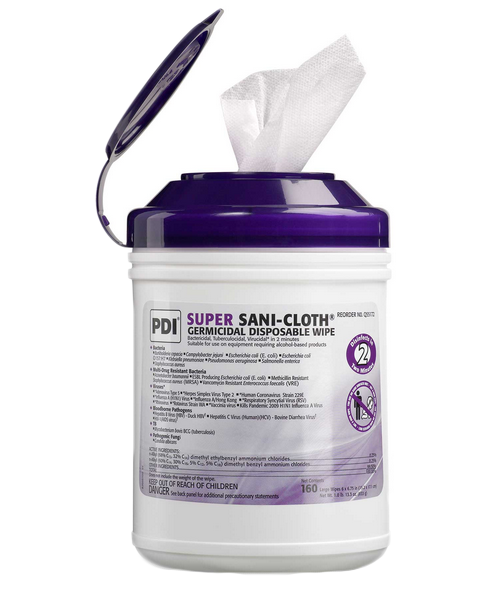 Super Sani-Cloth Disinfectant Wipes BUY Germicidal Wipes, Q55172. 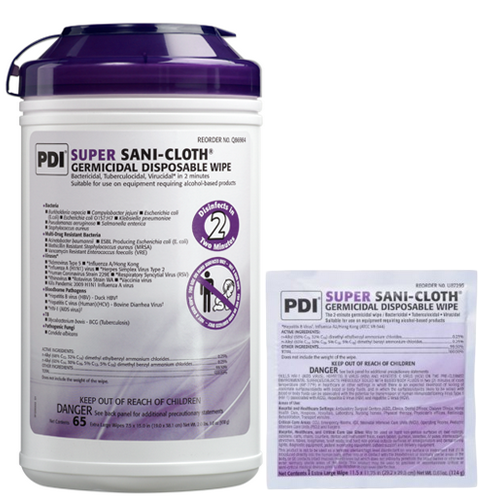 Super Sani-Cloth Germicidal Disposable Wipes tested effective against 26 microorganisms. 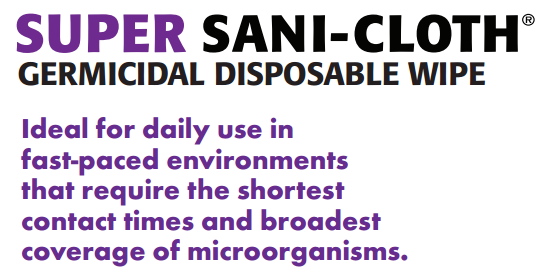 Ideal for daily use in fast-paced environments that require the shortest contact times and broadest coverage of microorganisms. Compatible with a broad range of surfaces and equipment. 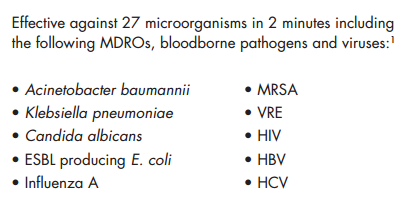 Kills TB and RSV in 1 minute; HBV, HCV, Human Coronavirus, Rotavirus, MRSA, VRE and ESBL Producing E. coli in 2 minutes. 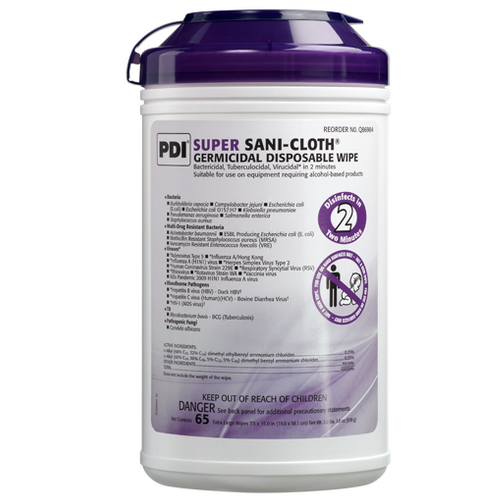 Tested effective against 26 microorganisms. Hexagonal-embossed wipe material is thick and strong. 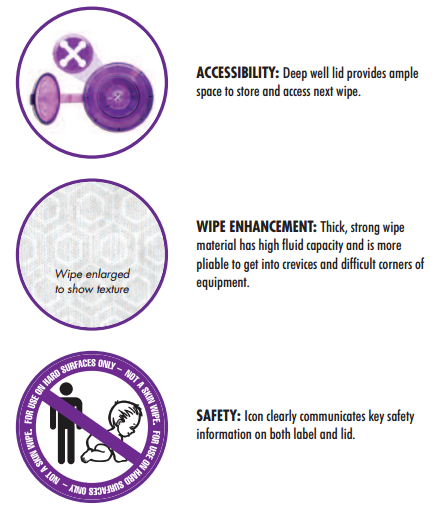 Distinctive hexagonal embossed material constitutes a thick and strong wipe. Contains 40% wood-based fibers for a more cloth like feel. I use this to sanitize the toilet area and other germy surface. 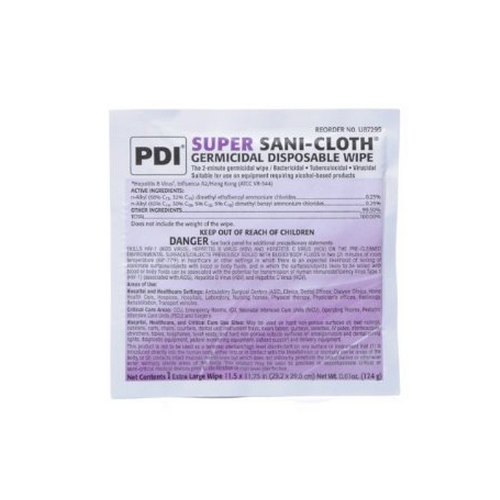 Since it's not meant for use on human, I use protective gloves to avoid direct contact with the wipes.